For those who spend their day typing at a computer, it can take a toll on your hands. As much as I love my MacBook Air, typing on a laptop keyboard long term has definitely changed my wrists (in other words, punished them). The need for a regular full-sized keyboard was in order, and it wasn’t until I read about Jeff Benjamin’s experience with the Das Keyboard for Mac that I considered jumping to an external again. 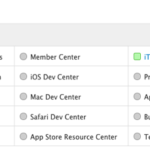 Das Keyboard sent us their Mac version to check out and I have been using it for the past month or so. I have to wholeheartedly agree with Jeff–this keyboard is incredible. After using nothing but a laptop keyboard for the past eight years, the return to a full-sized keyboard feels pretty awesome. The Das Keyboard is for Mac is quite audible and has a distinctive and rewarding ‘click’ every time you depress a key, reminiscent of one of the first keyboards we had on our old 486 machine running Windows 3.1. 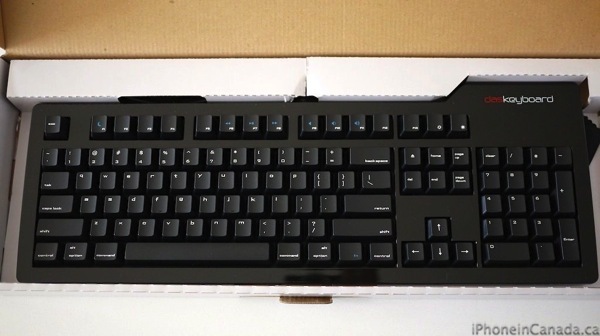 This keyboard is well built and contains German-engineered mechanical key switches with gold contacts (Cherry MX blue). It’s fairly heavy for a keyboard (1.36 kg/3 lbs), as this helps for stability on your desk (plus there are also four rubber feet on the underside). Tabs on the underside also allow you to adjust the tilt of the keyboard to your liking. I wish the Das Keyboard would come in a Bluetooth version, but it doesn’t, due to the fact the right side has a built in two-port USB 2.0 hub. It’s nice to have quick and easy access to USB ports without reaching to my MacBook Air or fumbling behind my Thunderbolt monitor to charge or sync my iOS devices. Do note the keyboard will require two of your computer’s USB ports: one to plug in for the keyboard and another to power the hub. As for the cable itself, it’s quite long at 2 metres so you don’t have to worry about it not reaching your computer. 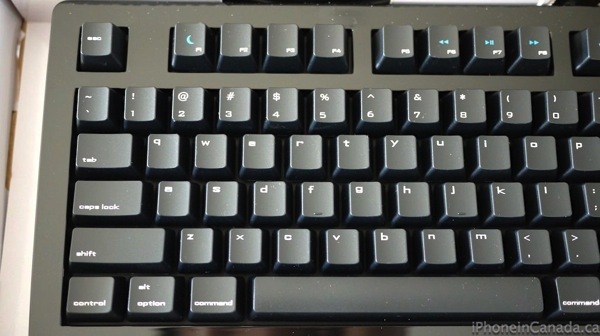 Above the number pad, blue LEDs indicate when caps lock has been triggered. 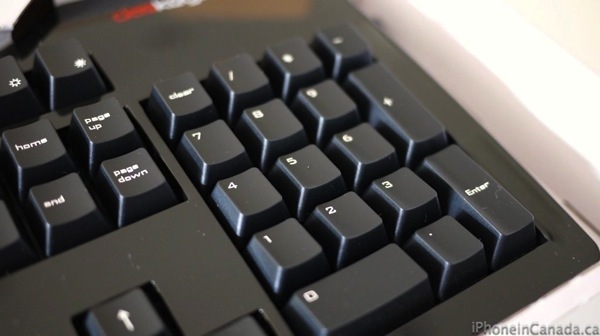 The Mac version of the Das Keyboard includes special keys for users such as Option and Command keys to ensure a seamless experience. There are also media keys, volume keys and a sleep button controlled by the ‘fn’ key. You can also control screen brightness with two dedicated buttons. Also, the keyboard supports 5-key rollovers. Oh, and did I tell you how nice it is to have a number pad again? Typing on the Das Keyboard for Mac over the past month has not only increased my speed and accuracy, but my wrists feel a whole lot better. As much as I love the beauty of Apple’s MacBook Air keyboard, long term use is not highly recommended, especially if you have large hands and fingers. Pressing down on those keys and hearing the audible feedback is addicting and brings back feelings of nostalgia. Typing is now more enjoyable than ever thanks to the Das Keyboard for Mac. It is extremely well built, has Mac-friendly keyboard shortcuts and is by far the best keyboard I’ve owned to date. I can’t believe how much faster and more accurately I can type on this compared to the keyboard on my MacBook Air. As for some downsides to the keyboard, it’s not exactly cheap, but you do get what you pay for in quality as these keyboards are built to last. What would look cool if is there were a white version of the keyboard (but that could look pretty disgusting after a while). The Das Keyboard for Mac retails for $133 at Amazon.ca with free shipping. 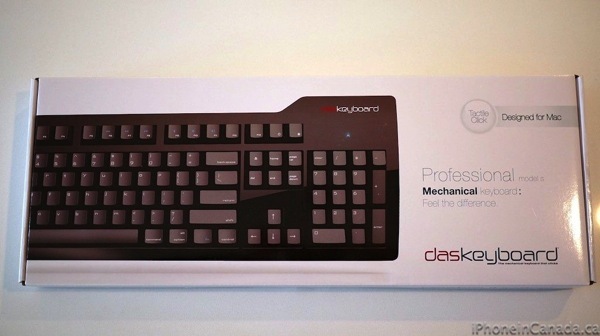 Let us know if you’re a user of Das Keyboards. Highly recommended.